I've had a long-standing love affair with cafe curtains. I know what makes them lovable and useful, and I know their failings. My thrifty mother made the cafe curtains in the bedroom I shared with my sister when we were teens. She sewed them in crisp white cotton that was printed with small pink rosebuds, and she finished the top edge with a pale green trim that had loops. The loops threaded onto brass curtain rods anchored midway up the window trim. Mom liked those curtains because they were easy to sew. 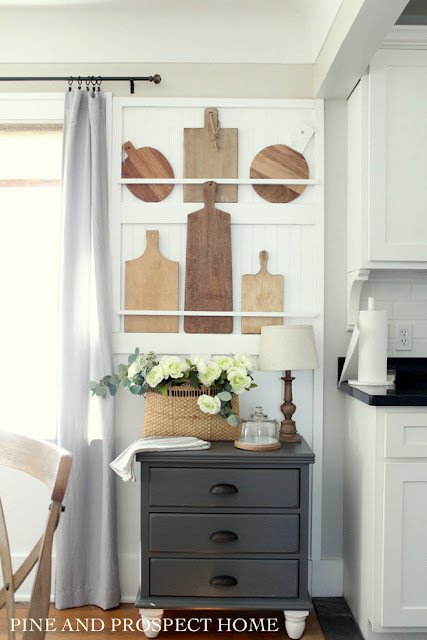 She didn't need pleater tape, lining, or fancy hardware for hanging. And she especially liked them because they didn't use as much fabric as full-length curtains. These are some of the same reasons home stagers can use cafe curtains to their advantage. 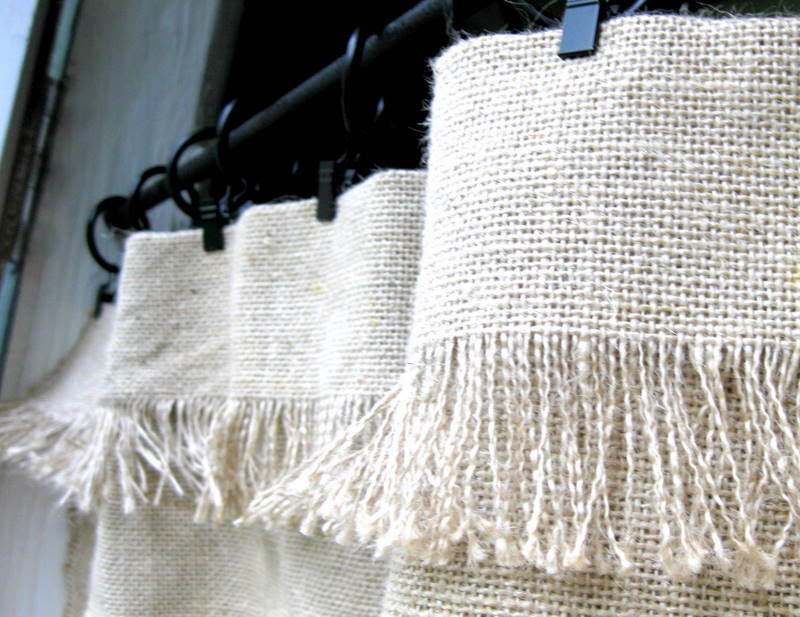 Cafe curtains have a simple appeal. They're in their element in farmhouse kitchens, coastal cottages, the breakfast nook, a sun parlor, and the bistros they are named after. They're easy to make. They're economical. They are charming and homey. But these "half-curtains" have a downside that might make them unsuitable for your staging project. Used in the wrong room or the wrong house, they can look skimpy, informal and cheap. Here's how to make the most of these short window dressings. 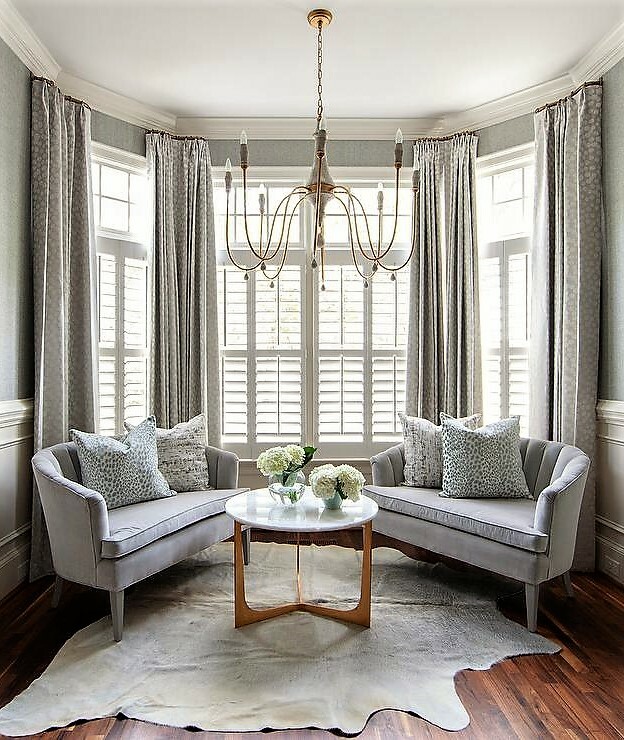 If you're looking to create a luxe, high-end room, full-length draperies with plenty of fullness are your ticket. In fact, draperies made of fabric that has weight and width can turn an ordinary room into something quite stylish and rich. If you want a room-darkening window treatment, or the complete privacy that comes with top-to-bottom draperies, then cafe curtains are not your answer. Although they tend to convey a breezy casualness, cafe curtains can be designed to look more formal if you use statement curtain rods, brackets, finials, and rings. Hardware with some heft will add some gravitas. These could be made of wood or metal. 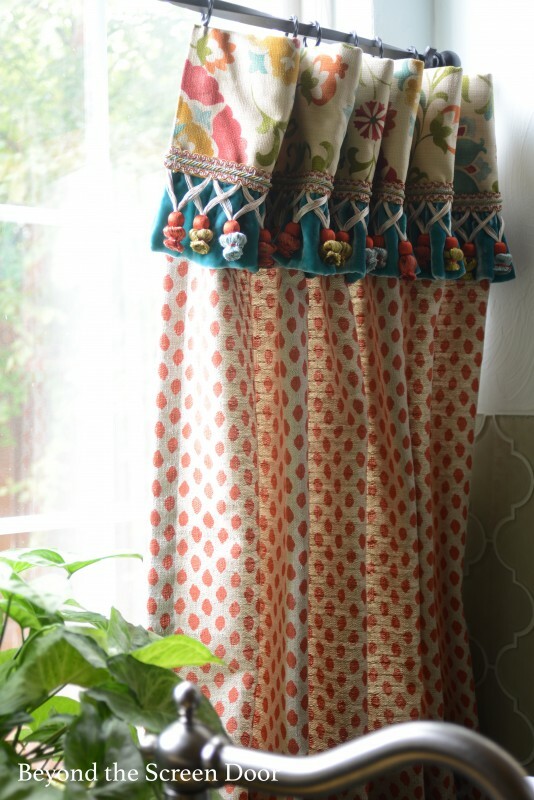 And fabrics like velvet or heavyweight drapery textiles will make these short curtains less cute and more serious. My mother also made the cafe curtains for our beach cottage. The small bedroom where my sister and I slept all summer faced east, and the sun streamed in early to awaken us. Another day of going barefoot awaited! Cafe curtains let the sun shine in, and at the same time provide privacy. Although my sister and I didn't want to block the view, create privacy, or darken the room, cafe curtains might be perfect for you if you are staging a room where the view from the window might be something you don't want to call attention to. If the window overlooks a neighbor's messy backyard or an unattractive rooftop, cafe curtains will block the line of sight but not the natural light. These curtains can be simple or elaborate. The simplest version could be the ones made from dishtowels fastened to a tension rod with clip-on rings. Nothing wrong with that in the right setting! 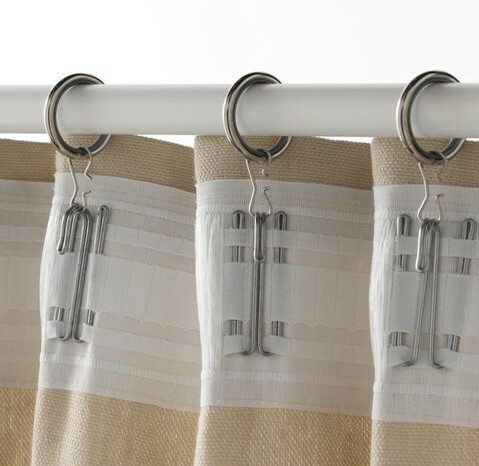 The panels can be shirred on the rod for a hardware-free hanging. The problem with shirred, or "rod-pocket," curtains is that they can be difficult to push open and to stay pushed to the edges of the window. Rings or fabric loops are more likely to stay in place. 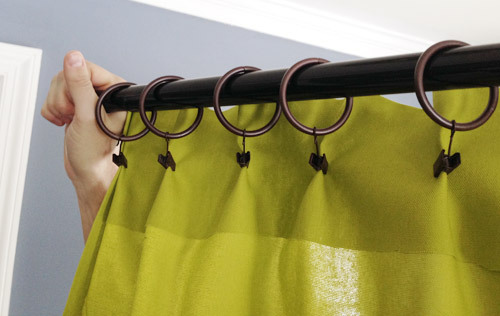 If you are making your own cafe curtains, you can stitch the rings onto the fabric, or buy clip-on rings, which make washing the curtains easy. 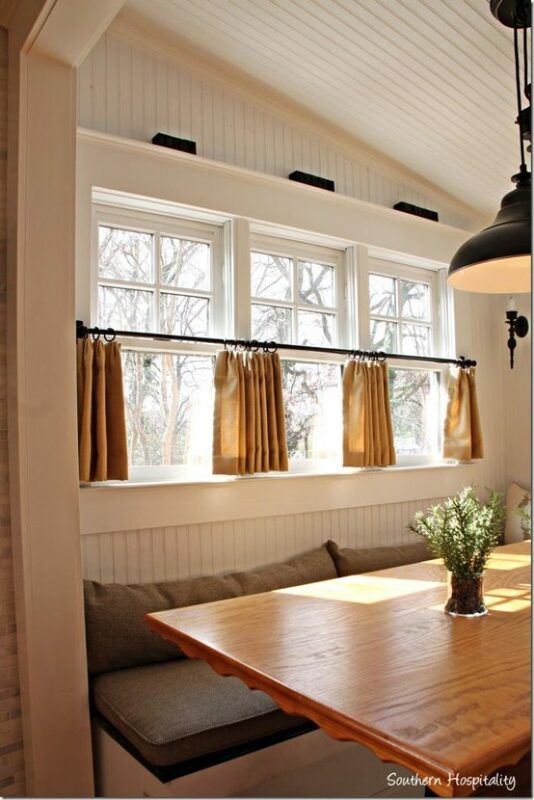 The simplest way to install cafe curtains is with a tension rod that sits inside the window frame. For home staging, this eliminates the problem of anchoring brackets to the wall or trim, where the next buyer may not want brackets. I like to see cafe curtain rods that sit at exactly the halfway point on double hung windows, or wherever there is a sash edge. This method gives a cleaner, more deliberate appearance than a rod that crosses a window pane randomly. I also suggest that the curtain rods and the curtain rings be made of the same material -- natural wood, or painted wood, or brass, or nickel, or whatever. Or at least the same color, such as white plastic rings on white metal rods. My eBook, How to Make No-Sew Curtains and Draperies top Stage Your Home includes some easy cafe curtains that are perfect for home staging. are folded and fringed at the top edge. from Soyna Hamilton, finished with fancy trimmings. There are other ways to make informal cafe curtains look more impressive. One way is to hide the curtain rings so that the fabric looks like it has a pleated top, as in this photo of the back of the curtain panel from Young House Love. you can use with pleater tape to make a top tab that is evenly pleated. 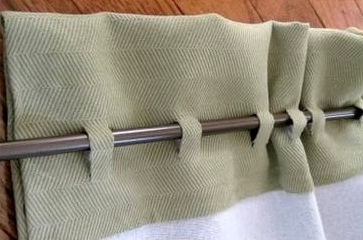 Here is a way to convert a hemmed piece of fabric into a curtain panel that can be threaded onto a rod. You'll find 15 other new-sew methods to make all kinds of window treatments in my $4.99 eBook, No-Sew Curtains and Draperies to Stage Your Home. 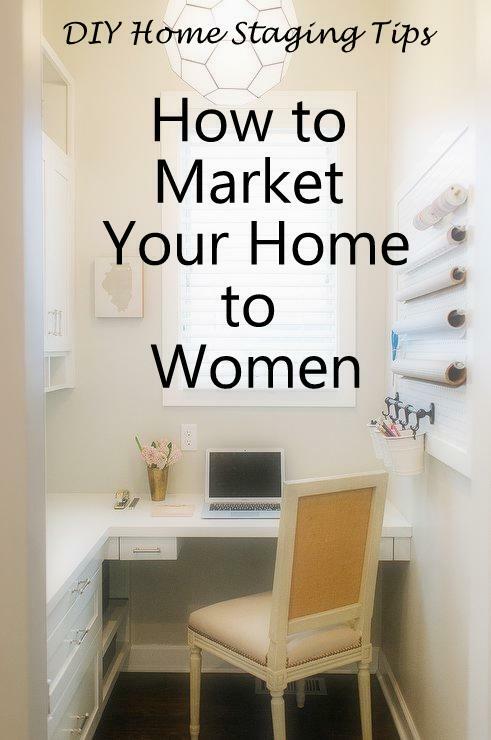 All the styles and methods I describe in the book are designed with economical, easy home staging in mind. Download your copy now and get started dressing your windows! Have you cleaned and decluttered your kitchen, and are now left with a cold, soulless space crying out for personality? If so, I have two words for you: cutting boards! Wood is always a sure way to warm up the chilly mood of any room. 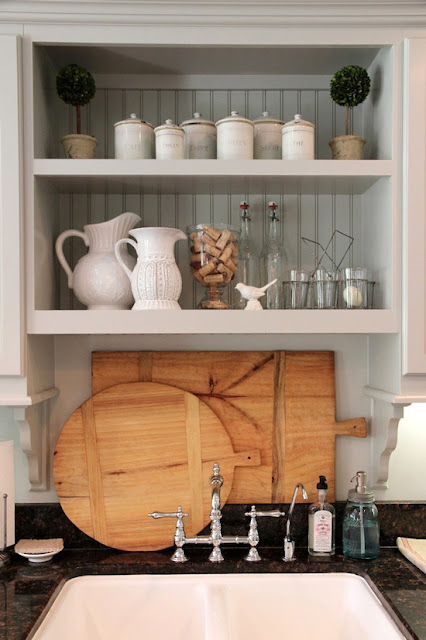 And one logical, natural, quick, and economical way to introduce wood elements to the kitchen is with the cutting board. Whether hung on the wall, laid on a center island, clustered in a corner, propped against a backsplash, arranged on a bar cart, or centered on the kitchen counter itself, a cutting board or a group of boards is a no-brainer prop for a home stager to use. Either new or old boards are fine to use for staging. 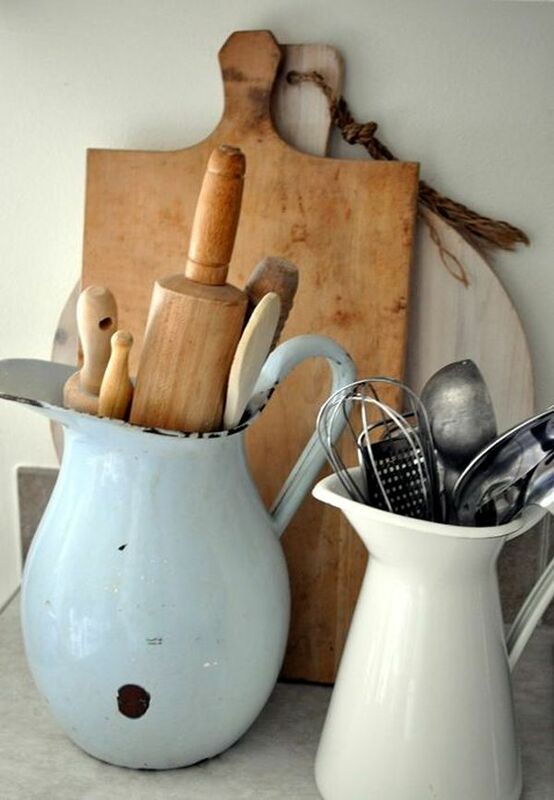 Best sources for older cutting boards are second-hand stores, garage sales, flea markets, and antique stores. Or you could poke around your grandmother's house. And if you are worried about using these older boards for cooking and the contamination they carry, don't. Studies show that wood cutting boards -- whether bamboo, maple or other hardwood -- actually self-seal and kill bacteria as long as the surface is wiped clean after use. Plastic cutting board, even when bleached, can still harbor bacteria. When I talk about cutting boards, I am including thick butcher's chopping blocks, thin and long-handled pizza peels, and everything in between. They can be pieced together from cross-grain wood scraps or sliced from a single log of beautifully grained hardwood. Boards designed especially for serving cheeses are usually marble or granite. Bamboo is eco-friendly and handsome. For staging purposes, plastic, stoneware and glass boards usually don't have the appeal we're looking for. Check out these photo examples and then consider ways you can add some cutting board charm to your staged kitchen. Get more ideas for staging your home for sale when you download my $4.99 eBook, DIY Home Staging Tips to Sell Your Home Fast for Top Dollar. Don't wait when you can start your staging today! guess that your home is your biggest investment. When it's time to sell, you want your investment to pay off, because, well... it's an investment! That means you need to make some smart decisions. Before you list your home is the time to decide what needs to happen for maximum return on your investment. You want to choose home improvement projects that improve your home's resale value without sacrificing your own bank account. Here are six sure ways to add worth to your home. A tidy front yard tells buyers what to expect inside. Getting rid of excess belongings, and then thoroughly cleaning your home inside and out is the perfect start to home staging. It's essentially free, so that's an awesome ROI. Clutter, dirt, mildew, pet odors, and general messiness send buyers running for the door. Even a home with fixable "problems" like older appliances or popcorn ceilings can keep buyers in consideration mode if the home is immaculate. But funny smells and other signs of neglect create a hurdle they can't always get past mentally. Even cleaning up your yard, pruning shrubs, adding mulch. and spending as little as 5% of your home's value on landscaping projects alone could yield a return on of as much as 150%. That's impressive! After cleanliness, the second thing home buyers will likely notice in your home is flooring. If your floors are old, mismatched, worn, or discolored, you won't get as much money as you would with better-looking ones. The fact that Americans spent $21.9 billion on flooring in 2017 indicates the importance people give to what's underfoot. Consider upgrading carpeted or vinyl flooring with bamboo or another hardwood. One Realtor I know just installed bamboo throughout her own home, with an eye to the future when she sells it. She told me it is more popular now with buyers than other hardwoods, carpet, or cork. Another popular choice is what's called "luxury vinyl," the engineered planks that imitate the look of wood or stone. There is a wide range of prices, depending on thickness, quality, and patterns. Engineered vinyl is durable, water-resistant, and easy to install. If your floors are in bad shape but you don't want to spring for a new flooring installation, you still have economical options. If your carpeting has seen better days, you can have it dyed, or have it professionally cleaned, or have budget-friendly, builder-grade carpet installed. If your wood floors need an overhaul that you can't afford, you might be able to have them screened and top-coated, a simpler and cheaper process than refinishing. Another possibility is to use rugs to cover the worst areas of wood flooring. Most buyers will peek under the rug, but first impressions will still have influence. 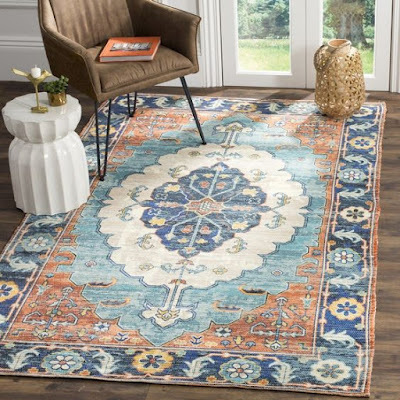 My favorites, for now, are the new but distressed synthetic Persian and Oriental designs. They look convincingly rich but are inexpensive, just right for staging a mid-priced home. Some people will criticize my suggestion to hide flooring that's not perfect. And I usually recommend that a seller never deliberately conceal problems in a home, but a rug is just a rug. It's temporary and easy to peel back. Certainly a home inspector is going to make note of serious floor deficiencies. Does your front door say hello with a smile? Is your garage door an asset? Doors issue an invitation and create curiosity. Make them part of your selling team. Front doors are the visual focal points of your property from the street. If they don't add major points to your curb appeal score, give them some love. If they don't respond sufficiently to a good cleaning, you might want to paint them. 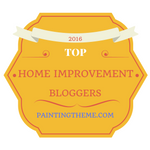 I've already blogged about how easy it is to repaint your overhead garage door, and how anyone can paint a front door without removing it. Today's home buyers usually include some smart home features on their want lists. If you have an older home, upgrading your HVAC system will help buyers relax about the age of the structure. Replacing AC equipment components that are more than 15 years old can result in significant energy savings, but since buyers are entitled to learn what you are paying for utilities, the sooner you upgrade the system, the better your record will look to them. Buyers are impressed with smart devices that will save them money or make their lives more convenient. If you have a Nest thermostat, programmable interior lighting, and an automated lawn watering system, make sure the agent showing the home understands and explains the savings they bring. But if your new smart refrigerator has a touchscreen that creates shopping lists and lets you turn on the ice maker from your smartphone, don't list it with the MLS specs if it doesn't convey with the property. The same thing applies to features like security systems and your programmable outdoor grill. 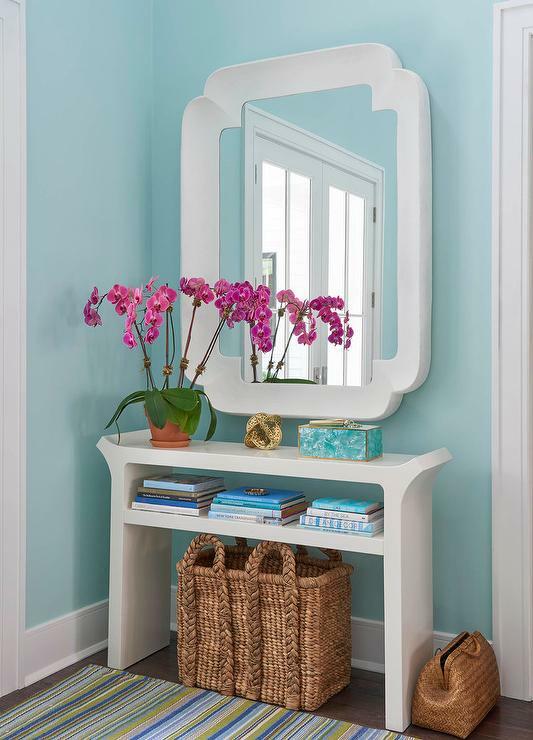 This foyer sports a fresh coat of Benjamin Moore's Spring Sky. Unless you haven't lived in your home very long, your walls are likely ready for a fresh coat of paint. This is especially true if the colors vary from room to room, or if they are unusual, dated, dark, or saturated colors. 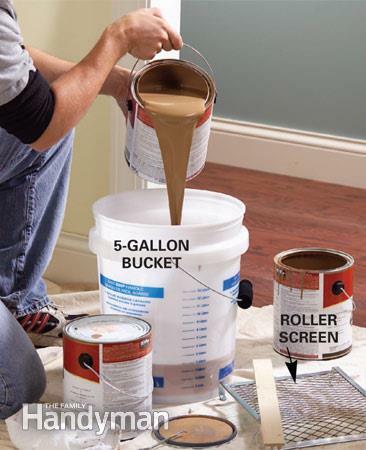 Painting gives you a better return on your money than any other DIY project. On this blog, I've passed along my best tips about how to paint like a pro, whether you are painting walls or furniture. Most of us need some work done by professionals, whether it's an electrician, an exterminator, plumber, house painter, or carpet cleaner. My best advice to avoid substandard work is to get referrals from people or agencies you trust, and get quotes from two or three of them before making a hiring decision. Minor renovations, as well as big upgrades, need to be quality work. If the home buyers don't notice shoddy workmanship, the home inspector they hire will. Work with local, professional contractors if necessary for larger projects, and be willing to put some time, effort, and skill into each remodeling project you begin. Never pay for the entire project ahead of time. 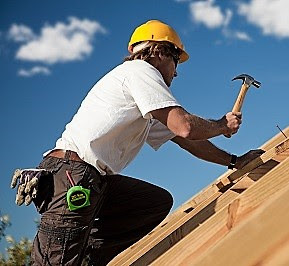 If a contractor does not have the capital to go buy the basic materials for your project, (paint, lumber, plumbing parts...) maybe he isn't the contractor for you. Stay in communication with people who do work for you. Politely let them know your preferences, your budget, your schedule. Show your appreciation for the work they do. I always buy the donuts for their first day on the job. Since you're about to start a new chapter in your life, it's time to profit as much as possible from your home investment. You don't want repairs and upgrades and home staging to end up costing you money that doesn't return to you in the form of a quicker sale at a better price. Do the homework and you'll be able to decide which property improvements will add value. For more tips on how to prepare your home for sale, no matter what style, age or condition of your home, download my $4.99 home staging ebooks and get ready to attract buyers! I won't lie. It took me a few years to figure out how to determine and then stage around the focal point of every room. The book definition of a focal point wasn't much help: "The center of interest or activity; the point at which all elements or aspects converge." Eventually, I established a set of guidelines that helped me make the most of a room's focal point. Here's what I learned by trial and error, by observing rooms I liked, and by listening to professional designers. For staging purposes, your focal point of any room is going to be what is most inviting about the space, what makes a prospective buyer want to live there. It helps if the focal point is also large, attractive, and obvious to anyone entering the room. A stunning view of outdoors. The largest piece of furniture in the room, and it better not be an old recliner. 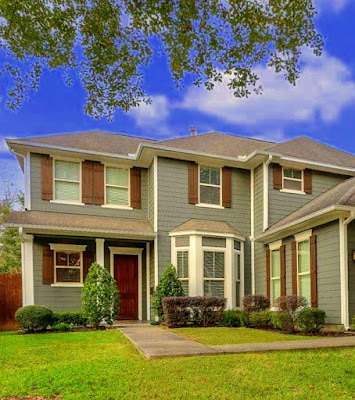 Beautiful or rare architectural features, like a staircase, vaulted ceilings, intricate millwork trim, or a fireplace. 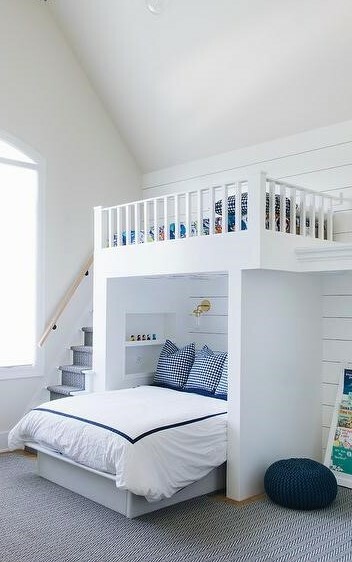 Built-ins, like bookcases, bunk beds, breakfast benches, or window seats. A feature or furnishing that clearly demonstrates at a glance the purpose of the room, such as a desk in the home office, a billiard table in the game room, or storage bench in the mudroom. A room's focal point gives the viewer a point of reference, a place to rest the eye and let the brain know there is a sense of order and purpose to the space, that it's not just a room housing an assortment of furniture and other stuff. Some larger rooms can have more than one focal point. That fact seemed to fly in the face of the very definition. How can there be two centers? Turns out, one focal point is going to dominate. Your best approach is to choose one focal point for each room. Make it easy for the buyer to quickly survey the room and respond positively, viscerally, immediately. If you are uncertain what the focal point of a room is, ask yourself, "What's the first thing a prospective buyer will notice when she enters the room?" Then ask yourself if that thing is a selling point. Don't assume a focal point has to be something that conveys with your home when it sells. If your gorgeous velvet sofa is the one thing what makes your living room look special, and your other living room furnishings revolve around it, let that sofa be your room's anchor and focal point. If the room's focal point is an architectural feature and you would rather not highlight it, consider a way to upstage it. In one older home I staged, the obvious focal point was the fireplace. But since it was no longer functional and there were large windows overlooking a woodland setting, we staged the room to call attention to the windows and the view. If the room has nothing distinctive architecturally, it will be up to you to create a focal point. When there is nothing large like a bed, couch, or dining table, you may be able to arrange a few pieces of furniture in a grouping to imitate the visual weight of an important focal point. An example would be two matching chairs, one on either side of a bookcase or table. To make sure your focal points are immediately visible and inviting, don't bury them in clutter. You may have to a rearrange all the furniture before you achieve the look you want. Your goal is to make the focal point both obvious and something that makes the room approachable and friendly. 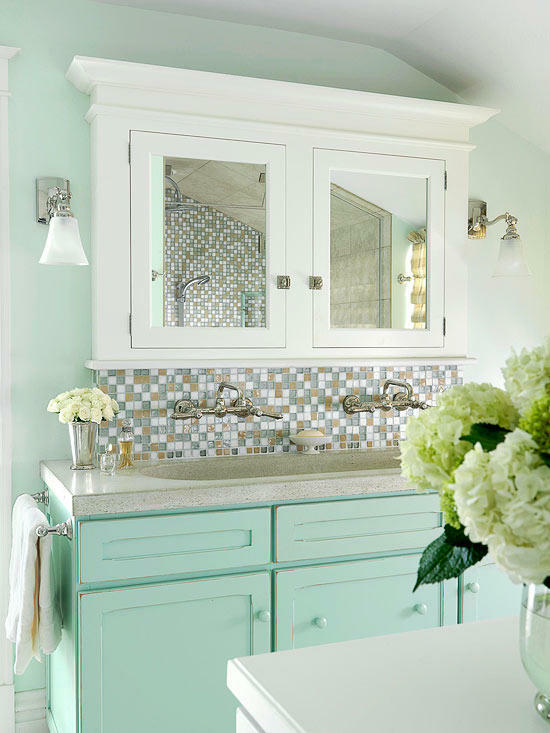 Color is one way to accent a focal point. If the jumbo fireplace mantel or granite-topped kitchen island is the same color as its surroundings, it may not get noticed. Add a colorful accessory, or a prop that's oversized or unique to bring attention to it. you introduce a focal point to a space that lacks one. 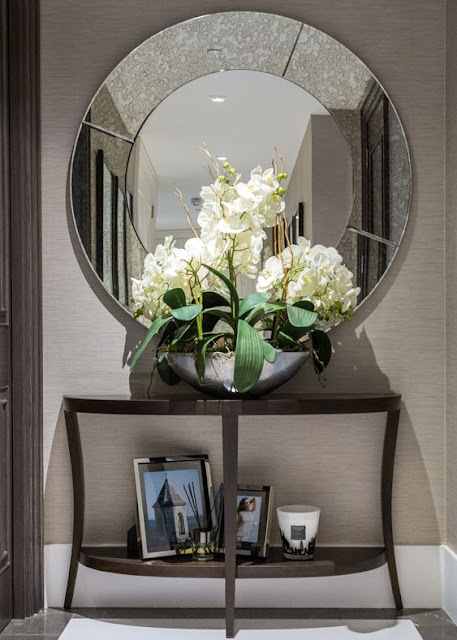 Photo: aji co.
For example, sometimes all it takes is a large floral arrangement (silks are okay) on an ordinary table in a foyer to create an impressive entrance. Other additions that will draw attention are large lamps or mirrors. 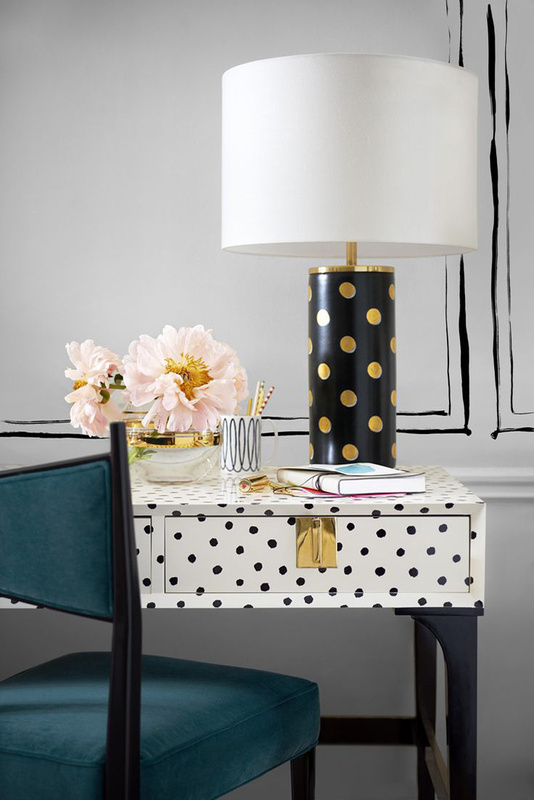 Experiment with what you have, or shop for some decor pieces that make a statement. Places like TJ Maxx, HomeGoods, eBay, World Market, Tuesday Morning, Overstock, and thrift stores are economical sources. To make a less-than-ideal focal feature worthy of its role, make sure it is immaculate and well-maintained. Clean those windows if the view is important. Repaint that old bookcase if that's what centers the room. Slipcover that sofa if it is the focal point and needs to some spiffing. 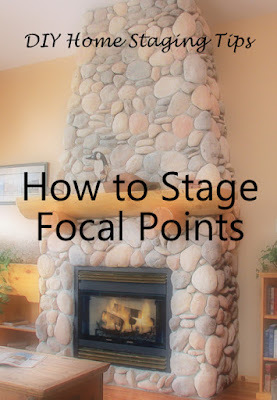 Once you get the knack of staging your home's focal points, you'll see a big difference in how your rooms look and feel. And buyers will respond favorably! 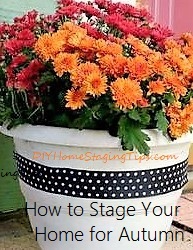 For more advice on staging your own home, be sure to download my homestaging $4.99 eBooks. I guarantee you'll get all the tips and encouragement you need to get your home sold sooner for more money. Yes, you can stage for the holidays without going crazy. At the end of the year, the media assaults us with countless images of elaborate holiday decorating. They are all tempting, these pictures of rooms stuffed with lush garlands and shiny ribbons, colorful fir trees and mantels decked with symbols of the season, kitchens accessorized with gingerbread men, candy canes, and topiaries. Because most of us want our homes to look festive and even downright stunning, it's a little intimidating. When you are listing your home for sale, you can't be seduced by the decorating magazines and blogs featuring over-the-top home tours. I'm here to pull you out of the guilt loop. If you are staging your home for sale, you have enough to do just keeping your home organized, clean, and show ready. Here is my handy list of pointers to keep you from getting overwhelmed and yet on budget during December. You don't have to use the default red and green color combo for your Christmas decorations. 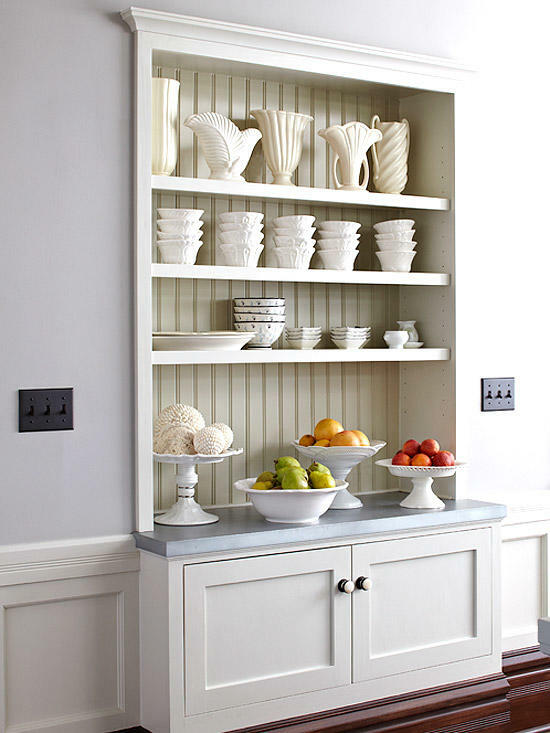 Instead, select a two- or three-color palette that you really like. So, step one of your holiday decorating would be to explore your home to collect items of a certain color. Think outside the box. 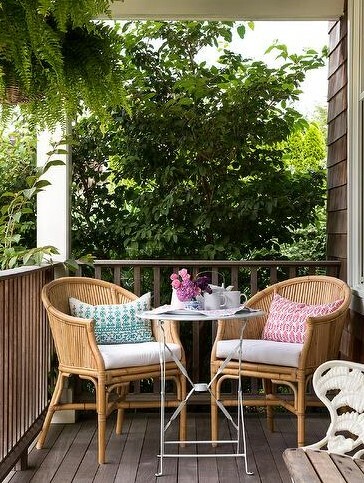 You may even decide to rearrange some pieces of furniture to relocate chairs or end tables to places where you intend to add seasonal embellishments. In My Own Style blog used satin ribbons in saturated colors to punch it up a little. Choosing to decorate using your favorite colors makes your job easy because you'll be able to use what you already have. You'll be surprised what's tucked away in closets, vanities, a storage unit, or the garage and attic, even if you've already decluttered. Once your decorating is centered around a certain group of colors, your rooms will look cohesive and planned, rather than rooms where someone just layered on a bunch of swags, ribbons, knick-knacks, trinkets, and candles. Using simple and familiar colors translates as saving money because you won't be running out to stock up on articles you may not love long term. I used to hate it when I paid premium prices for Christmas decorations that I would then see discounted big time on December 26. Now, I always think a full year ahead and select a color scheme for the next Christmas season so I know what I'll be using the following December. That's one way to save money. But you can't rewind the clock to last December 26. The alternative is to buy previously used decorations. We are a throw-away nation. That's unfortunate, but it also serves to keep your budget trimmed. Please do not turn up your nose at thrift store gleanings. Many an oft-pinned tutorial on Pinterest begins with someone else's ugly reject. Remember almost anything can be spray painted! 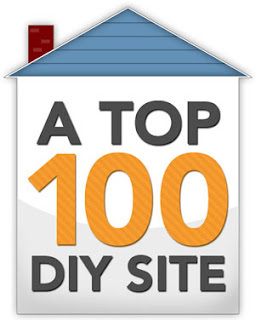 Besides thrift stores, flea markets, and garage sales as your sources for cast-off decorations, hunt dollar stores. Some of your findings there might need your imagination to convert them from generic knock-offs to classy accessories for staging. My other two favorite places to gather essentials for holiday staging (or staging at any time) are out-of-doors, and your own recycle bin. vase that holds a jar of water for fresh evergreen prunings. I know it's difficult for urban dwellers to find things like free evergreen clippings, berries, branches, pinecones, logs, rocks or shells. Still, I don't feel foolish suggesting nature as an ideal source, because I know that city folks will have more variety of retail outlets to turn to for materials, from street hawkers, museums, boutiques, and discount barns, to free curbside "donations." But everyone has discards that can be turned into pretty props. Tin cans make napkin rings. Oatmeal boxes make vases. And DIY pillows can be stuffed with shredded paper. If you must buy new (and I understand!) use coupons for stores like Michaels and Hobby Lobby. There's always a danger of making a home that's staged frugally actually end up looking cheap. That's the opposite of what staging is supposed to accomplish! 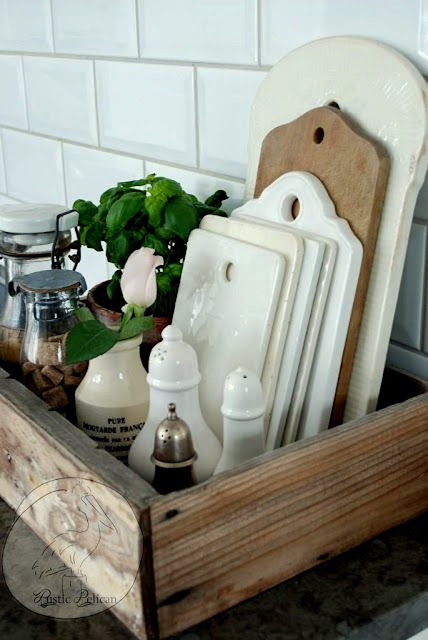 I've blogged about the tricks that make inexpensive items look more upscale. If you select functional objects for your seasonal decorating, you'll be able to use them all year long. 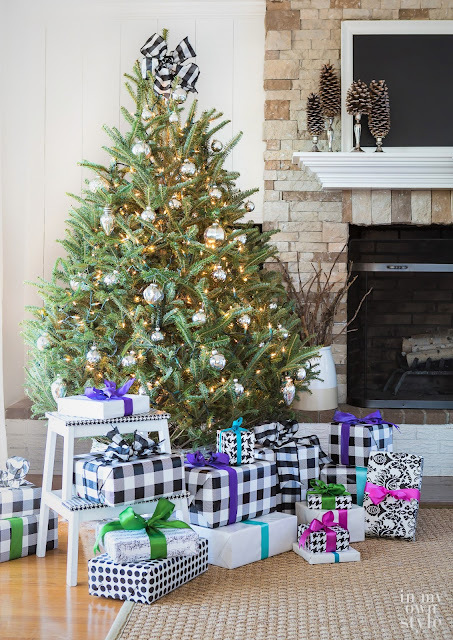 It's true that these items may not carry the same nostalgic memories of a certain time of year, but it sure makes sense financially, especially at staging time when you might be saving up to furnish your next home. What you buy now can be part of what you want for the new-to-you home of the future. If it's time to invest in a new duvet cover, make it part of what you plan for Christmas decorating. 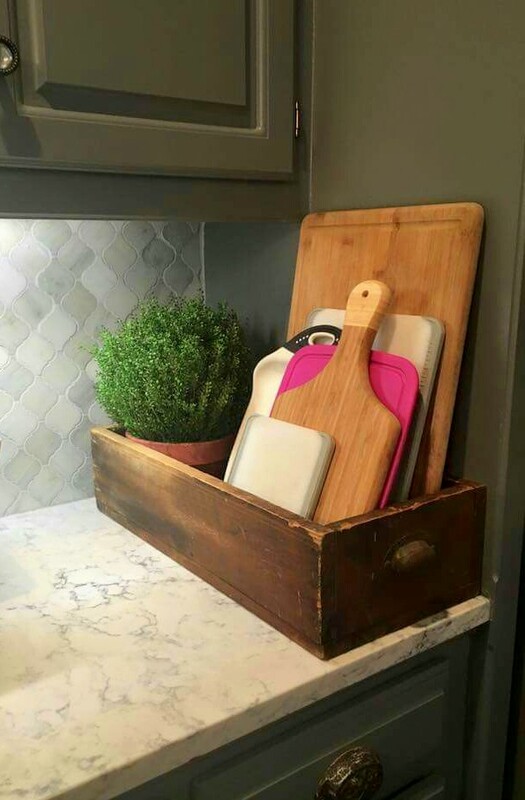 If you've been planning to replace your little old cutting board, buy a larger new one that will anchor a lovely kitchen display. If you need a snuggly new throw for the family room couch, choose one the colors you are using for wintertime staging. Some of the most elegant tabletop vignettes, mantel displays, trimmed trees, wreaths and outdoor decor for holidays are the simplest. Let's remember that staging and decorating are two different tasks, and even though you are decorating for the holidays, you are still staging. And staging always calls for simplicity. money, jewelry, and prescription meds inaccessible to the strangers touring your home for sale. Strings of single color lights are always a safe choice. 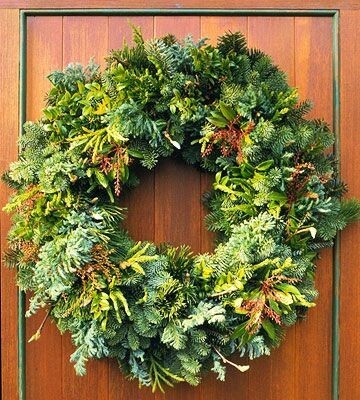 Green wreaths are always winners. And arrangements of artfully wrapped packages are sure pleasers. Another principle to keep your decorations looking simple is to designate a pattern that repeats itself. You may want to use plaid ribbons, a plaid table runner, and plaid ornaments on your tree. Or you could opt for a polka dot or stripe motif that echoes itself in different rooms. This kind of repetition shows restraint, intent, and professionalism. It's the way department store display artists work. 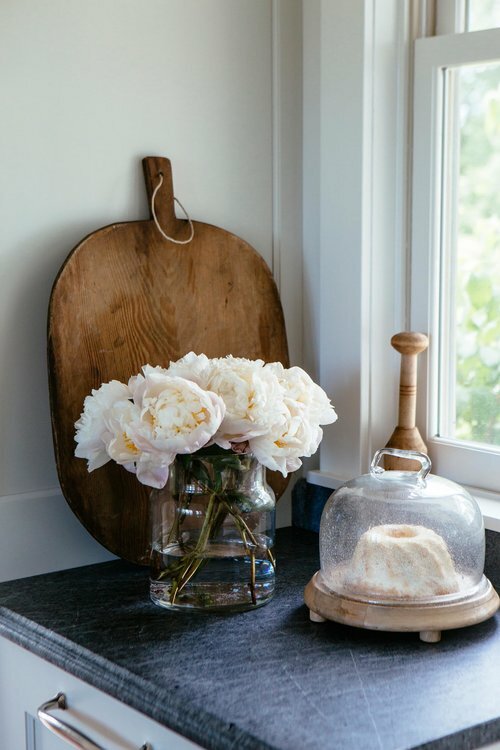 Keep whatever you add to your usual decor anything that diverts attention from your home's selling features -- that killer view, the beautiful farmhouse sink, your roomy master bedroom, or whatever else will make buyers swoon. Your holiday add-ons can actually show off the parts of your home you are most proud of, the things that will win the hearts of buyers. I hope I've given you ideas and inspiration for financially-sound holiday staging. If you stage your home the way I describe in my $4.99 home staging eBooks, you could be living in your dream home for next year's holidays. Take away the lush lawn, the green shrubbery, and the colorful flowers that made your home look pretty all year, and you can be left with wintertime curb appeal that's in the gutter. It doesn't have to be so. 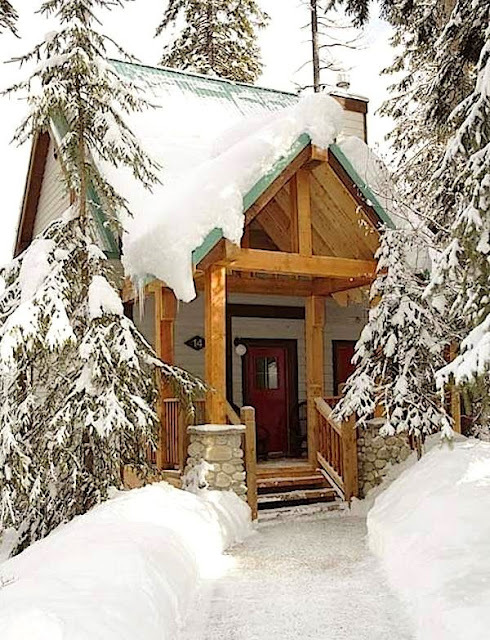 Just because trees are bare and snow might be covering the ground is no reason your home has to look disappointing to buyers looking for their next home. 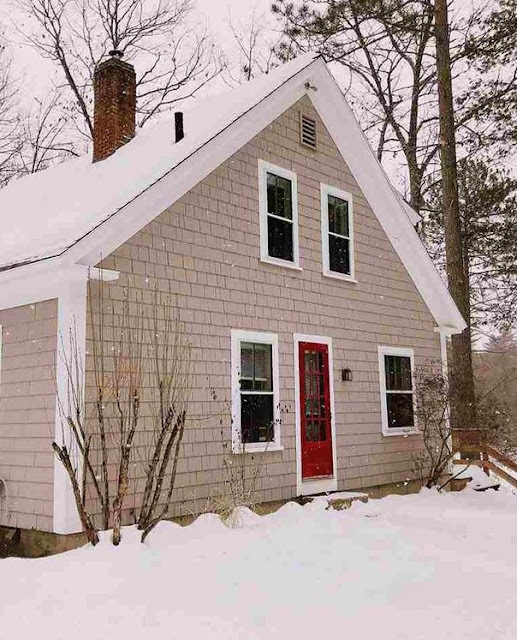 You can master the challenge of perfect winter curb appeal with a few simple guidelines. Probably most of what people see when they see your home from the curb is lawn. For much of the U.S., lawns aren't looking like a carpet of green velvet in winter. In fact, for many people, the ground is frozen and covered with snow for months. Followed by mud season. Am I right? Even if you have a lawn that is dormant all winter, it can still look attractive if you keep it edged, raked, and free from weeds. Depending on your type of grass and where you live, this could be a good time of year to reseed bare spots. But overseeding some varieties of turf in order to have a green lawn all winter can actually harm the grass that is dormant. Your County Extension Agent can give you advice about what's right for your winter lawn care. Walk your property regularly and keep it picked up. Are papers blowing in from other yards? Are leaves still covering the grassy areas? Are there downed tree branches that need to be collected? Think the way a critical buyer would think. The National Association of Realtors shows that 34% of people looking at homes are first-time homebuyers. These are the younger buyers that expect everything, especially a great first impression. How a front yard looks is a big part of that impression. Wintertime buyers are serious buyers. Don't believe that the selling season stalls when the days grow short. Make a statement with your outdoor decor this winter. Rather than decorating your entrance and yard with an assortment of the usual holiday trappings, create a single focal point that's one-of-a-kind. Here are some ways your house can be the one that home buyers remember. Plant a single, large, handsome planter with an assortment of the plants that can thrive through winters where you live. Keep them pruned and watered to make them standout specimens. If you live where winters are mild, you can add colorful blooming plants to the mix. Stage your front door so it knocks the socks off visitors. Visit my Pinterest Board for "Front Doors That Welcome" to get new ideas. from your competition. Think outside the box. Lay down a welcome mat that's super-sized and colorful. Choose something other than the usual off-the-shelf doormat. If your front entrance is protected, you can use almost any style of outdoor rug as long as it stays flat and in place. Emphasize what's special about your neck of the woods the way my friend Ethel did when she constructed her fisherman Santa for her porch. Ask yourself what's unique about your locale or house and decorate your snowman, angel or Santa accordingly. A bit of whimsy will give your home personality. Don't be that homeowner who adds a scattering of insignificant outdoor decorations, hoping to distract potential buyers from the bleak and chilly weather and make your house look more appealing. If you overdo the decorations, buyers might not notice some of your home's important selling features. While 35% of remodeling projects involve the entire home, staging your home for sale shouldn't require extensive remodeling that may not return your investment. At holiday time invest instead in one or two statement pieces you can take with you when you move. People are naturally attracted to simple settings. It's reassuring to see an organized and uncluttered space. Keeping your front entryway simple and clean is the best way to make buyers have confidence in the property rather than have them wonder what kind of people live such messy lives. through all the months of cold weather. Put a fresh eye on your exterior entrance. Have a schedule for sweeping away leaves and mud. Keep boots and snow shovels tucked out of sight. Consider adding a fresh coat of paint to your front door and adding a simple wreath that will carry you past end-of-year holidays and through the rest of winter. If you've had photos taken of your home for your real estate listing, you probably tidied up around the property. Now you need to keep up the good work. Place garbage receptacles and recycle bins out of sight. If you are storing a utility trailer, a boat, an RV or unused vehicle in view from the front of your home, it's time to find storage space offsite or in back of the house. The same goes for summer toys like wading pools, bikes, beach toys, and camping gear. However, outdoor furniture that's designed to withstand the elements can sometimes be a part of outdoor staging during winter. Not everyone wants to maintain a large garden, whether it's for flowers or vegetables. 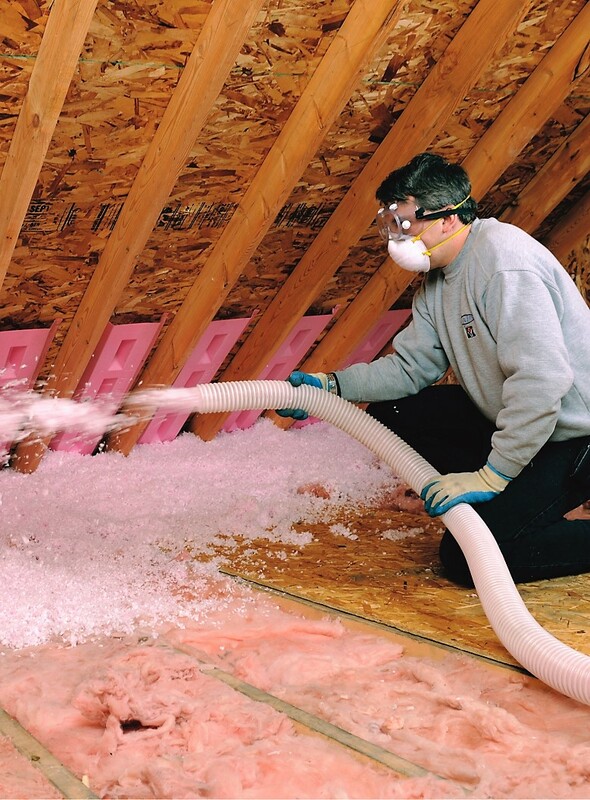 If your home is on the market, winter is a good time to scale back on what looks like extra work for the next homeowner. You can convert extra garden space to mulched areas, so in spring the buyer can reseed, lay sod, install a swing set or pool, make a dog run, or plant the garden they really want. Less is more when it comes to seasonal outdoor decor. Staged homes need simple embellishments that are both tasteful, and visually bold. Whether you're putting up decorations for Thanksgiving, Christmas, Hanukkah, or any other holiday, make them match the style of your home -- contemporary, historic, eclectic, mid-century, farmhouse, traditional, or whatever. all around the outside of your home, even with snow on the ground. Be sure your home is safe for people coming to view it. Because they aren't regular visitors, buyers are unaware of any unlevel surfaces or other oddities where people normally walk. Shovel and sand your pathways so they are visible and free from ice or snow. Double check them before a scheduled viewing to be sure they aren't slippery. Now is a good time to fix any outdoor hazards, the things you've ignored because you're used to them. Adjust any uneven stepping stones that can trip someone. Patch sidewalk cracks that are hazardous. Hire a handyman to set right that wobbly handrail. Use some fast-patch cement or Gorilla Glue to fix that loose brick on your front steps. 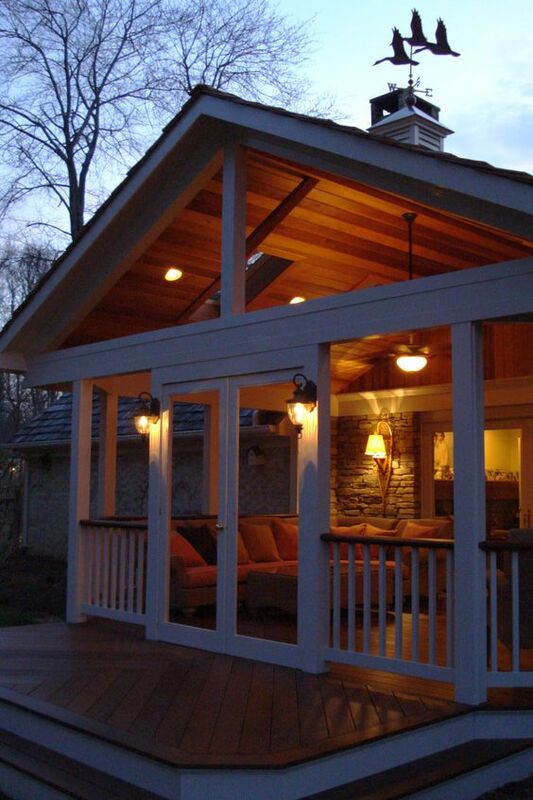 Screw down loose floorboards on the porch or deck. Statistics show that homeowners spend an average of 1% to 4% of their home's value on maintenance and repairs each year, so don't think you are wasting money with these simple fixes. It's normal and expected. Investing even a little cash into your home before you sell can make a big difference. 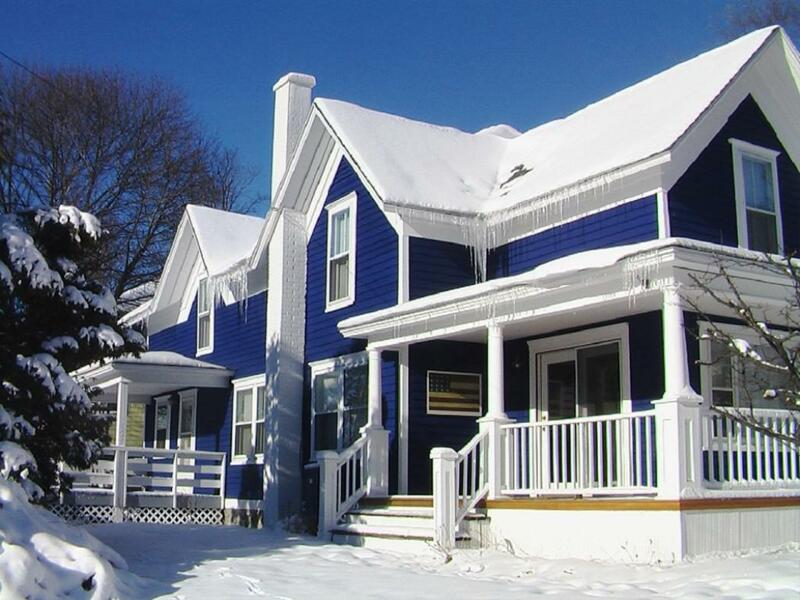 Curb appeal is more important than ever in the colder months. With bare trees, brown turf, and the possibility of snow and slush, it can be difficult to make your home look aesthetically pleasing. But wintertime can be a profitable time to sell your home, so review my four-point formula to see if your winter curb appeal can be improved to make buyers feel warm and welcome. For more tips on how to prepare your home for sale, no matter what the season, download my $4.99 home staging ebooks and get ready to attract buyers!